A perfect beautiful addition to Easter packaging & gift baskets. This Easter Ribbon will make a delightful bow onEaster baskets & wreaths. 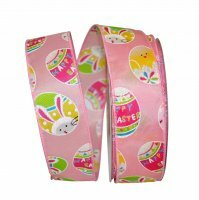 You won't be disappointed with our selection Easter Ribbon & Decoration!